When dreaming of Tuscany, it’s easy to cast yourself into the regions breathtaking backdrop. Italy’s postcard-perfect region often plays the swoon-worthy setting for much loved romantic films, like my fave Under the Tuscan Sun starring Diane Lane. A thousand times over I’ve envisioned myself being the star of my own movie with Tuscany acting as the setting where everything in my life seemingly falls into place. It’s a story so many of us easily identify with because, let’s be honest, moving to Tuscany is what dreams are made of. If not for chasing the whole Eat, Pray, Love experience; then definitely for the iconic landscapes, hill top towns, history, art and fabulous food, especially the wine. Oh the wine, it can tell you so much! Tuscany is a place like no other, where rustic and urban landscapes meet forming one of the most picturesque scenes in all of Italy. The region’s pretty Chianti features endless grape-filled fields, gentle rolling hills, olive groves and small villages made of ancient stone. Fortunately Canadians at home can easily enjoy a taste of Tuscany by sipping through a bottle of Chianti Classico. 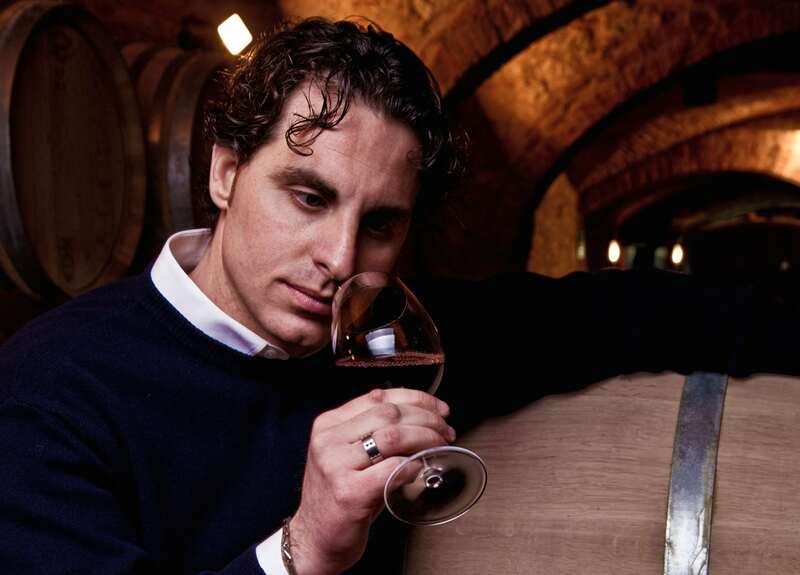 I recently had an opportunity to chat with Federico Cerelli, head winemaker at Castello di Gabbiano, on his recent visit to Toronto. Cerelli’s Castello di Gabbiano is situated in the prestigious commune of San Casciano Val de Pesa, in the famed Chianti Classico wine growing district. Each year wine lovers from Toronto to Tokyo visit Castello di Gabbiano to discover the essence of Tuscan hospitality. Boasting 11 beautifully appointed rooms and three apartments, the property affords a unique opportunity to experience a historic 12th century castle estate with all of the comforts of a luxury destination. 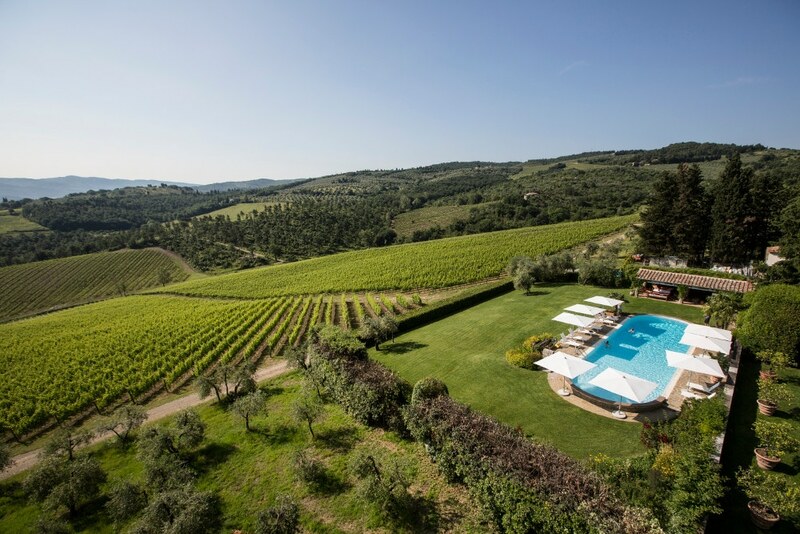 Views of the surrounding hillside vineyards, cypress and olive trees and classic Tuscan vistas abound from almost every vantage point. 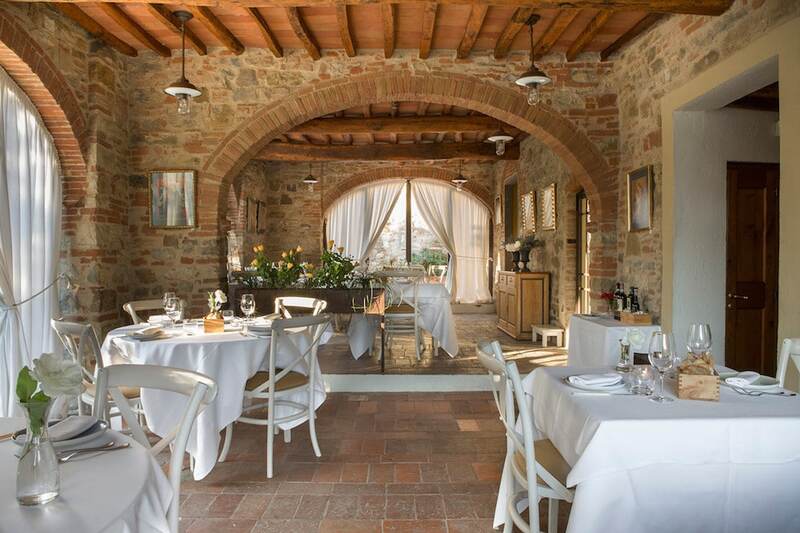 The castle’s ancient cellar and hand-carved tunnels (both recently restored), on premise frantoio and fine dining restaurant add to the ambiance and authenticity of the visitor experience. To top it all off, the estate was recently named Global Winner for “Best of Wine Tourism” in 2014. I met Frederico at the opening of Celebrity Chef Massimo Capra’s new restaurant – Capra’s Kitchen in Clarkson Village, Mississauga where several of the wineries most celebrated bottles will be exclusively featured. Frederico was on hand to discuss everything Chianti and what sets Castello di Gabbiano apart. Being a native of Tuscany (he grew up in Figline Valdarno, a small town of 15,000 people), learning about winemaking from his grandfather, and with more than a decade of experience working with prestigious neighbouring wineries, Federico has a depth of understanding about the exceptional Chianti Classico wine growing region and what it can deliver to his finished wines. Castello di Gabbiano’s Tuscan winemaking traditions can be traced back some 3,000 years to the Etruscans, who cultivated vines and made wine that was among the first to be distributed in Europe. During the fall of the Roman Empire and the Middle Ages, battles raged between Siena and Florence for control of this fruitful land. This led to the construction of Tuscany’s many castles, and informed the importance of the symbol used by the winery – Il Cavaliere – the knight on horseback who defended the castle and its inhabitants. It seems that history and tradition are undeniably a focus in the creation of stellar wines at Castello di Gabbiano. Federico is likewise inspired by the cuisine of his native Tuscany and never misses an opportunity to enjoy a traditional meal paired with a glass of locally produced wine to celebrate the moment with friends and family. His approach to the wine he has produced has changed over the years because food has changed. In the past traditional Tuscan meals were heavier and paired well with a more acidic, fresh, fruity, rustic wine. Today he notes that Italian’s tend towards lighter fair and the wine to match should have the same aromatic characters with a subtle yet polished sweetness. 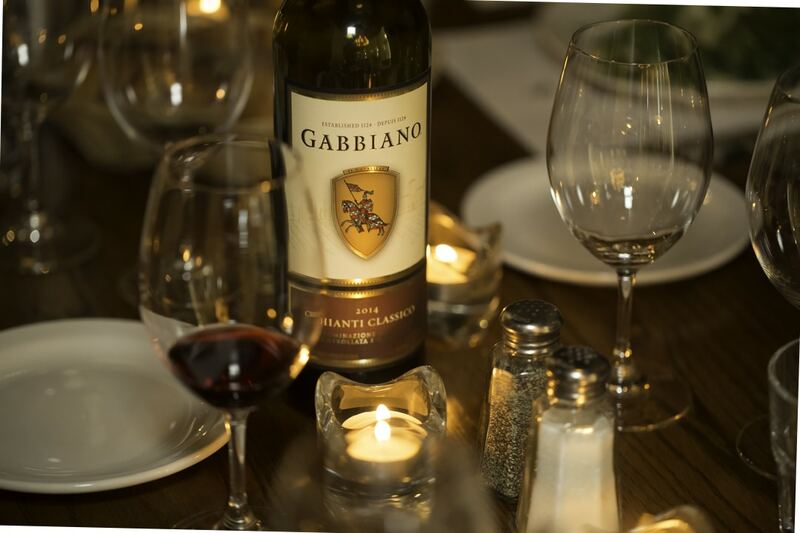 While we sipped and swirled at Capra’s he was able to provide some helpful tips on what to pair with the star of the night – Castello di Gabbiano’s Chianti Classico 2014, “the wine pairs well with Italian cheeses such as pecorino with truffles, provolone and parmesan. Or can be teamed up with pasta and a simple tomato sauce, grilled steak, risotto with mushrooms or roasted pork. Prepared in the Tuscan tradition with garlic, herbs and fennel seeds.” Wine lovers who take the time to visit Castello di Gabbiano can also learn about food and wine pairings right at the castle as the kitchen offers cooking classes hosted by the chef de cuisine. Federico’s celebrated bottle has been granted a 90+ score for several years by the Wine Enthusiast list and also came first and second place in blind tastings in Toronto and Vancouver. The bottle is made up of 90% Sangiovese, 5% Merlot and 5% other reds, which in the glass offers a beautiful ruby red colour. On the nose, you’ll find floral and fruit aromas, with violets and red berries that dominate. Taste buds tingle, watering the palate with red cherry flavours accented with notes of white pepper and nutmeg. Feel like you’re due for a trip to Tuscany? If staycation is all that’s in the books…roll yourself on over to the local liquor store, prance through the Italian wine aisle and enjoy an indulgent journey with Chianti Classico.